Check in from 13.00 h onwards (GRUZ harbour) with dinner as first meal. Due to many different flight arrivals of all participants first overnight is planned in Dubrovnik -a unique town on the Adriatic. The special charm of this old city are the buildings that have remained from the time of the old Dubrovnik Republic. A larger part of the monuments of history and culture belong to the fine but modest Renaissance architecture with some traces of the Gothic style. Use the afternoon to explore the city walls and plan what to do your last night on the cruise when we return to this wonderful city. 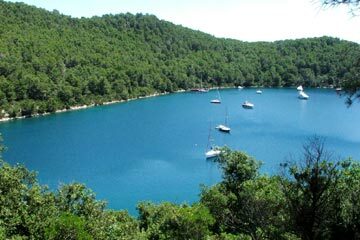 We continue our journey after breakfast towards the island and national park Mljet. The whole afternoon is free to look at the salt lakes in National Park and enjoy the sun and sea on this peaceful island. Overnight in port Polaca/Pomena. In the middle of the large lake, inside the National park, one can visit an old abbey and church, or just use a small boat to roam around the National park. Here you can rent bicycles and cycle around the lakes. During breakfast departure for Korcula, the birthplace of MARCO POLO. Lunch on board in front of Lumbarda (part of Korcula). Arrival to Korcula in the afternoon where everyone is free to do their own sightseeing. On this island you can find more legends, tales and monuments than anywhere else. Listen to the story of the stone walls, which were being built for over two centuries. Overnight in port. Early in the morning we depart towards the little island Scedro where we will have enough time to relax and refresh in the clean, crystal blue sea. Departure for Hvar after lunch. Hvar is the longest island in the Adriatic. Here we can find the Renaissance cathedral with its original tower; also the oldest community theatre in Europe was founded here in 1612. City of Hvar offers plenty of restaurants, bars and cafes that are open long into the night. 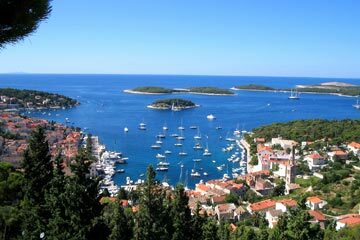 Hvar is often referred to as the sunshine island. We have to leave Hvar and continue our cruise towards the little town of Trstenik on Peljesac penninsula, where we will swim in the afternoon and spend the night. 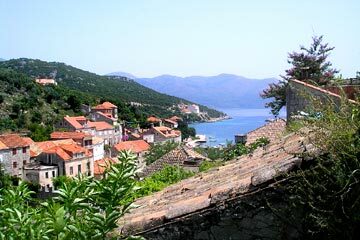 TRSTENIK, a village and harbour in the central part of the southern coast of the island of Peljesac; population 106. Chief occupations include farming, viniculture (the famous Dingac wine), fishing and tourism. The coastline along the town and the neighbouring inlets is covered by groves of pine, offering fine ambience for swimming. The famous Grgic winery is situated here – have a walk and taste some of their lovely wine! Early in the morning we continue our trip towards the Elafiti islands. ELAFITI are a group of islands placed in the Adriatic Sea west of Dubrovnik. The biggest is Sipan, and to the group belong also Lopud and Kolocep (Kalamota). They attract many tourists with their beautiful scenery and sandy beaches. Swimming and lunch planned at one of the smaller Elafiti islands. 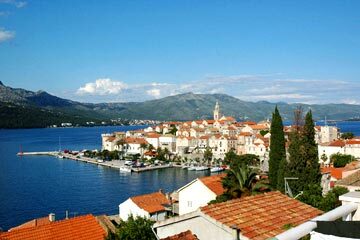 ŠIPAN, where our overnight is planned, is the biggest island of Elafiti, and also the most distant from Dubrovnik. Early departure for Dubrovnik with breakfast on route. Enjoy the beautiful sights of nature along the way towards “the heaven on earth” –according to the famous writer George Bernard Shaw. We will arrive to Dubrovnik early in the morning and have a whole day free to explore Dubrovnik or go for a swim or simply join an optional bus excursion to Montenegro. 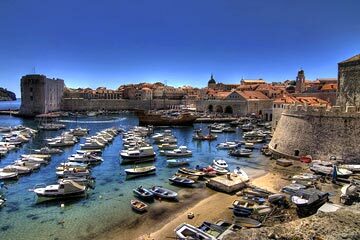 You can explore Dubrovnik on your own or first join our guided tour of Dubrovnik with an English speaking guide. Take a walk through STRADUN – both a street and a square, a promenade inside the city walls. For those of you with more enthusiasm we recommend a walk on top of the 1940m long city walls! Today’s meal will be dinner. Overnight in the GRUZ port of this magical town.